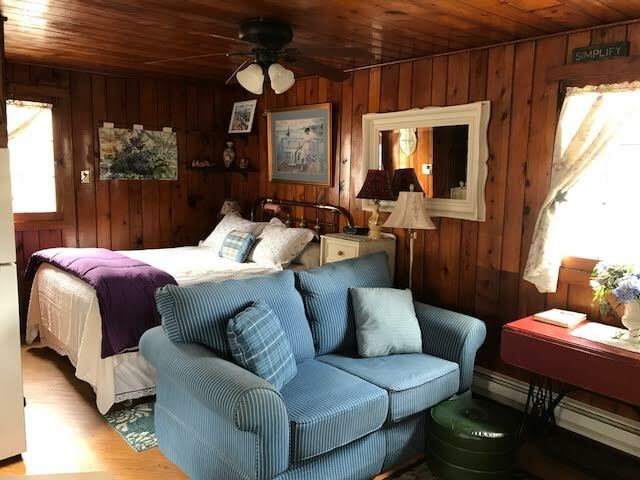 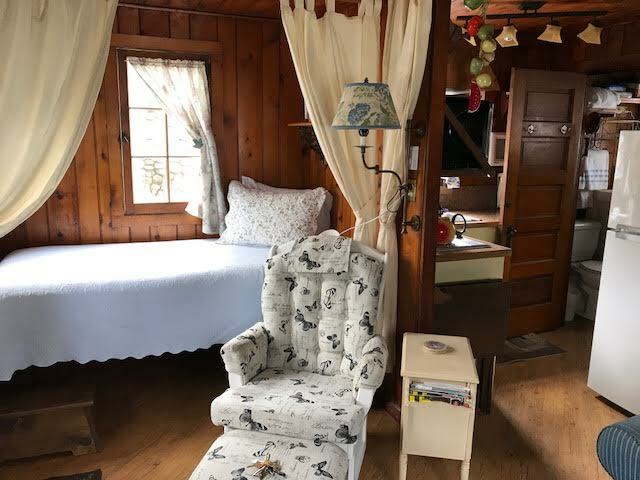 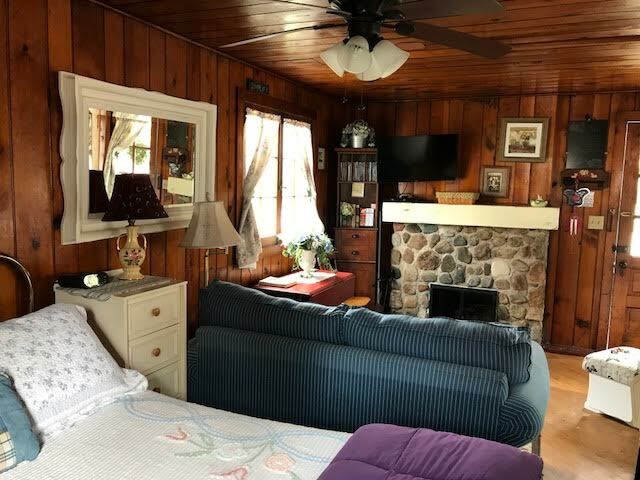 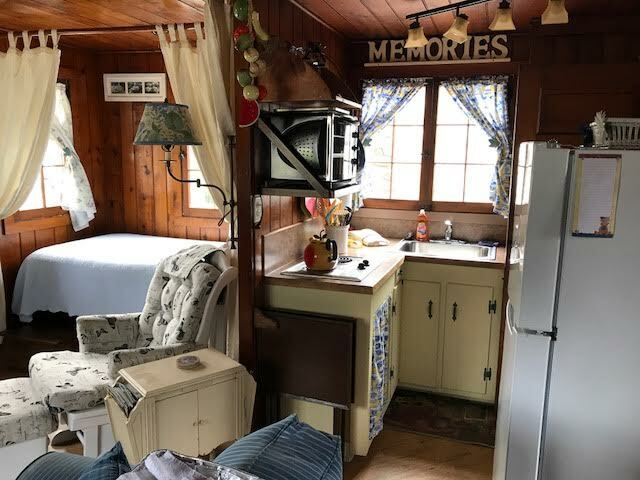 A very cozy cottage with a queen size bed in the main living area, a loveseat, table, chairs, TV, DVD, and hydrangea theme make this one of our most requested cottages. 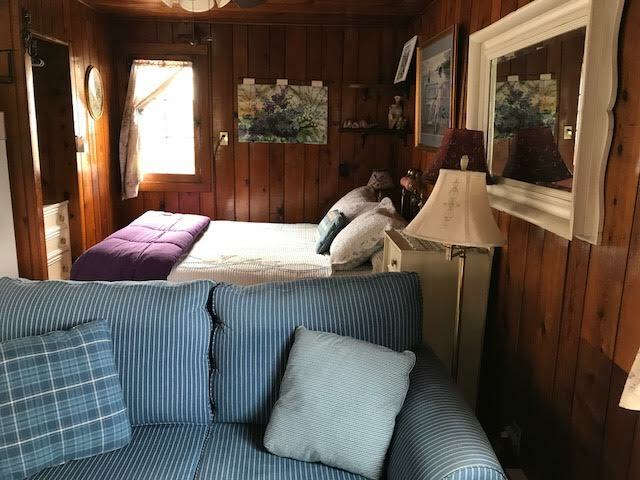 The alcove holds one single bed with curtains for privacy. 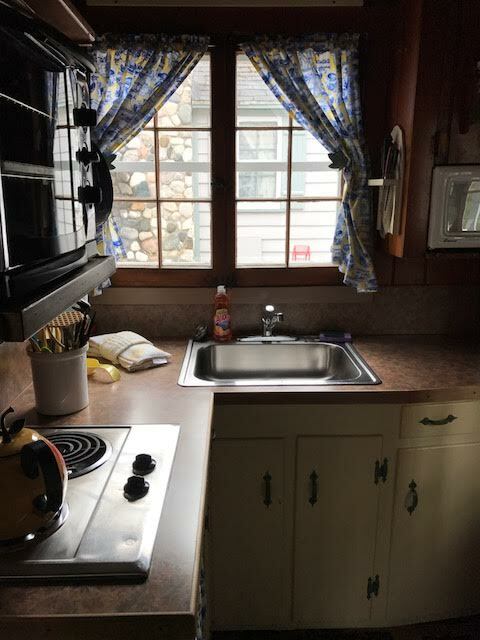 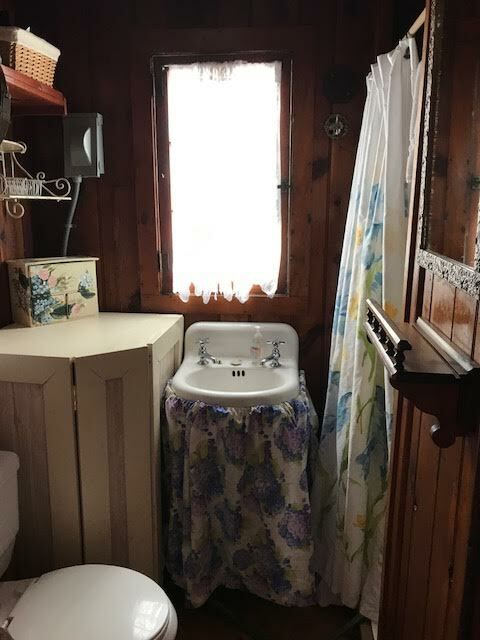 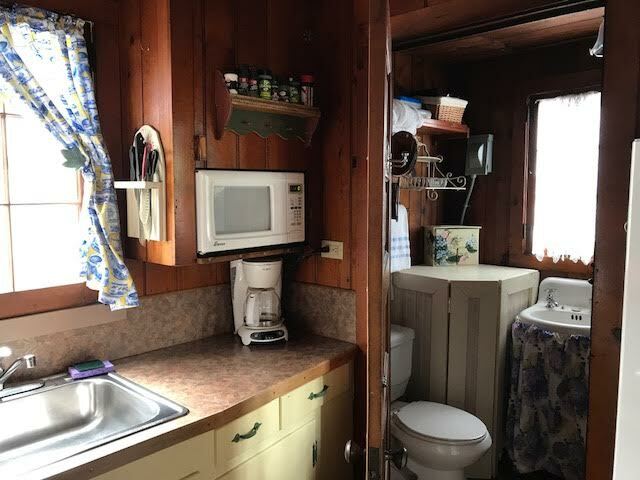 The kitchen has stove top, toaster oven, microwave all dishes, utensils, pots and pans all located in an alcove. 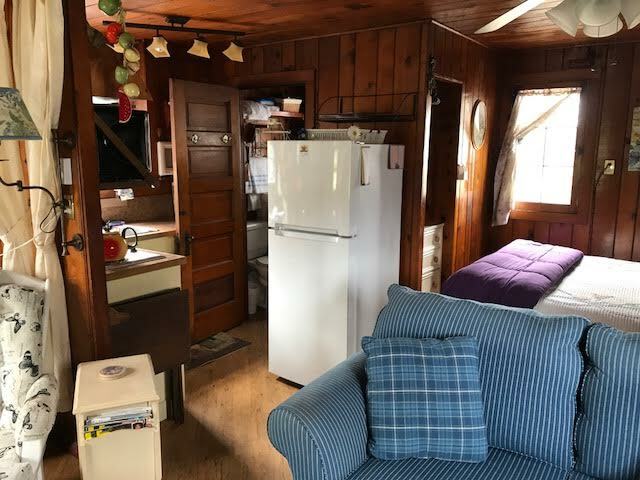 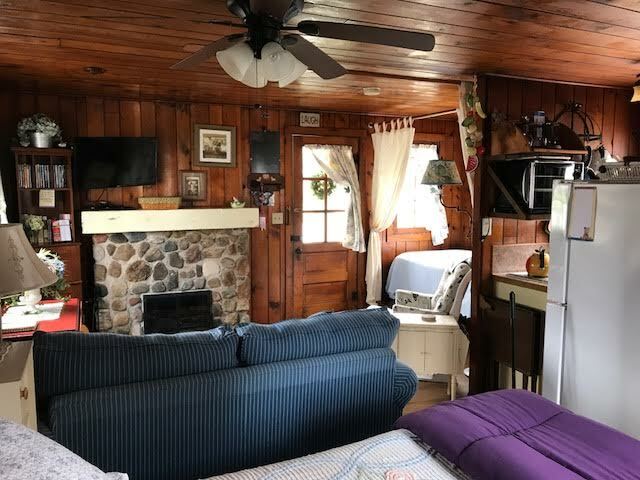 The knotty pine interior and field stone fireplace make this a cottage for all seasons. 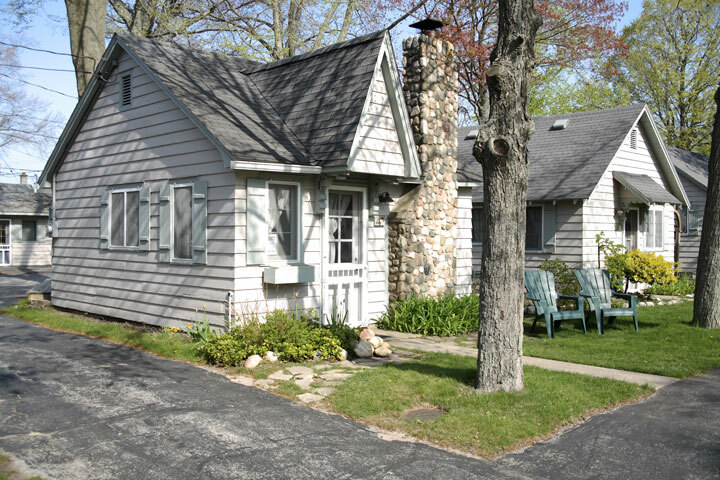 Facing Park St. with front yard and chairs for your cottage.